Hong Kong is another Eastern destination that is luring in more British expats who are increasingly moving further afield, and in the process eschewing traditionally popular expat destinations such as Spain and France. 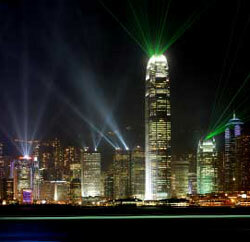 A powerful economy coupled with low tax has led to Hong Kong becoming one of the prime Asian destinations along with Singapore and Malaysia. Along with the aforementioned tax and salary advantages, it seems that British expats in turn are highly coveted themselves for the professional skills they possess. If you are interested in taking your career on to the next level, speak to an IFA about how becoming an expatriate could create significant advantages.